As we’ve shown we’ve a problem with both peak oil (see Part 1) and climate change (see any newspaper or science web page not sponsored by Murdoch or the Koch Brothers!). In Part 2 I dealt with the various non-renewable options presented to our future energy problems and pointed out the good, the bad and the (mostly ugly). The conclusion we can draw is that a point will probably be reached within the next 30 years where our fossil fuel and nuclear energy generating capacity will simply not be able to meet our long term needs (either because we start running out or we can’t use fossil fuels anymore due to climate change mitigation). Thus, in order to match these shortfalls we need to consider how much new energy we can add from renewables. Also we will need to look at energy conservation and simply using less energy to begin with. Question 3.1 – How much Energy are we generating from renewables and how much room for improvement is there? Question 3.2 – But Renewables cost too much money and take too long to build! 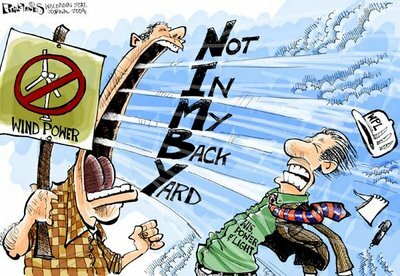 Question 3.3 – What do we do about anti-wind farm NIMBY’s? Question 3.4 – But we can’t rely on Renewables because of their Intermittent nature! Question 3.5 – But are all renewables as intermittent as that say? Question 3.6 – Can we just use HDVC supergrids to shunt power around the world? Question 3.7 – What About DESERTEC? Question 3.8 – Which is better Solar PV, CSP or thermal? 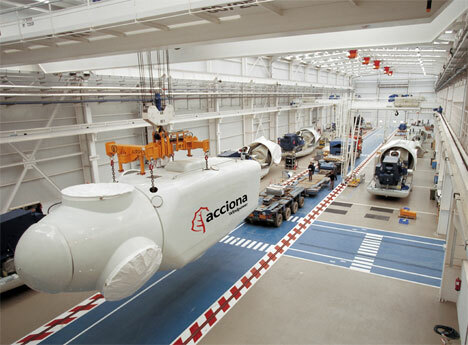 Question 3.9 – What about using Hydrogen to transmit power long distance instead? Question 3.10 – But can we close the gap with Renewables? I’m going to avoid going into technical detail as regards renewables and how they work, as that will take too long. A good starting point for info would be here however. A current breakdown of energy use by source can be found here. Also the key question I’m trying to answer is not the ultimate energy yield we can capture from renewables (the estimate is we can ultimately get 3,000 times more energy from renewables than we currently use!). No, the real question is can our rate of renewables roll out keep pace with oil and gas depletion as well as mitigating dangerous climate change? 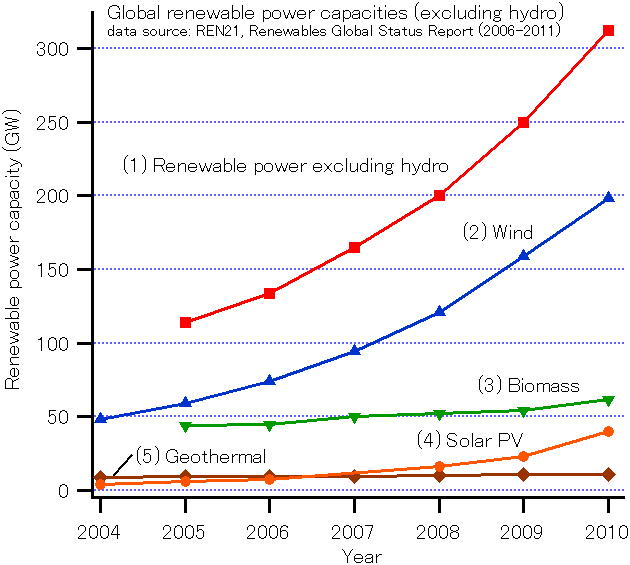 Assuming only conventional sources of “Renewables” which would include, wind, hydro, solar and most energy crop based forms of biomass, in 2008 these sources added about 80 GW in new installed generating capacity worldwide, as well as a further 9 billion litres of biofuels production capacity. This works out at roughly 420 Billion kWh/yr of new energy production, a near doubling of capacity in a year for sources other than Hydro (which itself contributed about 38% of the total). Note that this kWh/yr figure given accounts for the typical levels of intermittency for each source. The REN 2011 report suggests an estimated installation rate of 97 GW’s per year, working out at 566 Billion kWh/yr of newly installed generating capacity (again this figure accounts for intermittency). Solar CSP (740 MW added in 2010), PV (17 GW’s added) and solar thermal (25 GWth added) were particularly strong performers. I would note that even the IEA seems bullish as regards renewables, even going so far as to suggest that the majority of world electricity could come from them by 2050. If you’re wondering why I, a fan of renewable energy is treating this claim with a heavy dose of salt…well read the start of this article (part 1, question 1) as regards the IEA’s failure to pick up on peak oil! Just because they start saying stuff I like the sound of, doesn’t mean I believe them! Let’s see if the facts stack up. In order to take up the slack set by Peak oil alone (nevermind peak gas or coal) then we would need to raise this 566 Billion kWh/yr figure by at least double or more. Indeed if we exclude large hydro (nearly all used up, limited room for expansion) and biofuels (arguably double counting of oil), bringing our figure above down to just 260 Billion kWh/yr, then we need to expand annual renewables production by almost 5-6 fold just to keep pace with peak oil depletion! And if we want to cope with future potential declines in gas and later on coal (or we wish to decrease our use of these to combat climate change) the above figure rises yet further…about 12 times our current output of renewables per annum will be required post-peak fossil fuel energy, just to keep pace with decline rates. And again, this is just the cost of standing still, trying to expand the global economy or rapidly replace our existing fossil fuel based energy infrastructure (necessary in order to combat climate change) would add further to this figure (12 fold+???). Could our renewable output be raised by such an unprecedented level? My suspicion is no, we can raise output to a considerably higher level than it is now but not nearly enough to cope with the above noted levels of demand. The major barrier to renewable installation is the high costs of installing and constructing such systems (see here for a breakdown of the wind energy costs and here for PV). If cheaper mass production methods can be realised the cost per unit would fall substantially, but this requires much larger orders being placed for renewable systems. Under current market conditions, i.e. no real incentive to build them, it may prove difficult to sustain current levels of output, nevermind expand it. Economists complain about the “huge” subsidies Renewables get. I would argue that the fossil fuel industry are the ones living on subsidies, what with being allowed to dump vast quantities of carbon dioxide into the atmosphere each year free of charge, and the other considerable environmental costs fossil fuel use imposes on us. The nuclear industry with their cleanup costs, security and ultimate insurance costs in the event of an accident all covered by the state (not to mention significant R&D supplied by the state free of charge) they too are hardly in a position to sneer. A simple leveling of the playing field and some clear targets to reduce CO2 emissions worldwide would hopefully produce the appropriate market conditions to raise production levels. Also with a renewable project up to 80% of the total lifetime costs are often required to be spend before it has even generated any power, you only get your money back over the 20-50 years of operation. While this high rate of capital and interest payments per year are subject to tax, operating costs (such as the fuel costs on a thermal power stations) are often tax deductible. This puts a severe constrain on Renewables. Under our current market economy it is questionable whether sufficient capital can be made available to support higher growth. If this obstacle can be overcome somehow (by Renewable companies being essentially given the keys to the global treasury!) then this constrain can be lifted, though ultimately there will still be some finite ceiling in terms of how much renewable growth can be supported in any one given year. 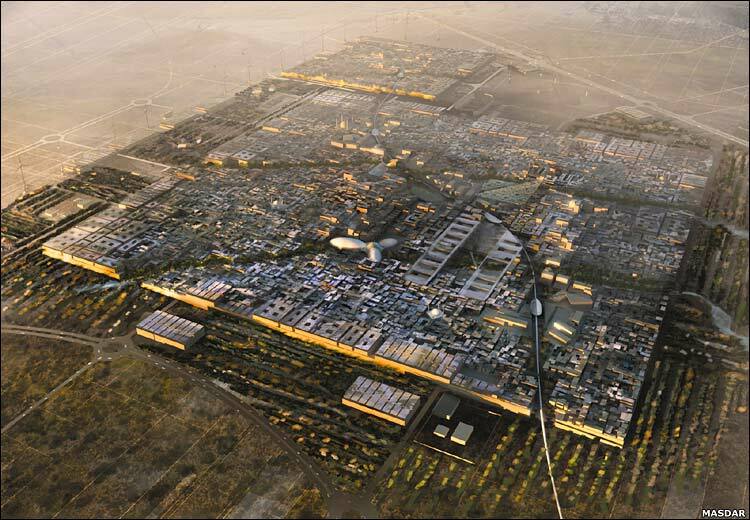 The point above is particularly important when we consider what this capital represents – resources. It is the steel needed to make the wind turbine towers, the aluminum (or increasingly carbon fibre) used to make the blades, it’s the Rare Earth metals used up in PV manufacturer, the Engineer’s time in designing it all, the machinists time in making it. If a vastly bloated renewable industry begins sucking in resources and skilled workers at an ever increasing rate this will raise the price of everything, including renewable energy systems themselves, especially in a post-peak oil world where the slightest jump in the use of any resource will cause swift price inflation. If we bend the economic rules to favour Renewables (or other energy industries), e.g. the wind farm industry gets first pick of the world’s steel production each year at a subsidised rate, well that’s going to drive up the price of everything else made of steel (cars, buildings, ships, etc.). If all these engineers worldwide are out in the deserts putting up solar arrays, there’s going to be a shortage of them somewhere else in the economy, meaning another critical industry suffers (mostly the electronics industry as PV manufacture largely grew out of this sector). So again, there will be some ceiling to how much renewables we can ever roll out in any given time period. So there is only so far we can push renewables growth before we start hitting the buffers. Also there are the other issues, notably the fact that many people in certain western countries aren’t so much NIMBY when it comes to any new development but BANANA’s (Build Absolutely Nothing Anywhere Near Anything). See my take on these individuals here. Now I suspect that when most realise its wind farms/wave generators or no electricity (and no fuel), this should see a rapid conversion of many opponents. But even so, we can’t build wind farms everywhere. It’s not just a matter of room but also conservation issues too. As I noted earlier we can’t build a big geothermal plant on top of Yellowstone, nor put a dam across the Grand Canyon. One way of resolving these issues though might be to encourage “buy in” by communities, such that they get reduced electricity bills in exchange for being sited next to a wind farm. Also they gain opportunity to invest their own money in such projects, something that already is being done in Scandinavian countries. Indeed there is unfortunately the issue of getting the power to where it’s needed as unfortunately in most countries the best places to put renewable are seldom the place where people live. For example the best place for wind and wave energy in the UK is in the Highlands or off the North West Scottish coast….but the bulk of the population lives in the South East (the opposite end of the country!). Even within Scotland the bulk of population is within the central belt, the other side of the Highland mountains. Not a show stopper, but moving electricity across considerable distances and mountainous terrain, will eat into our capacity as more and more will have to be devoted to overcoming transmitting losses, not to mention the transmission costs this will impose. Maintaining a balanced grid will also become challenging. As a consequence, the intermittent nature of some Renewable energy sources is often regarded as the biggest obstacle to renewable roll out, at least if you listen to the critics. However, the scale of this problem is often overstated, particularly by supporters of the Nuclear industry (who, as I’ve mentioned, also face similar problems with intermittency). The author Dr David MacKay suggest in his book that the UK could easily cope with the day-to-day fluctuations of a 33 GW array of wind spread over the country (when it’s not windy in the highlands, it’s likely to be windy down in Cornwall) with the aid of existing pumped storage, hydro and existing thermal power station capacity. But even so, as noted, it is a fact Renewable sources aren’t always on all the time and this does represent a potential constraint to renewable growth. Notably the issues of prolonged “droughts”, i.e days or weeks with no wind or rain or even worse both. Again Dr MacKay suggests a storage capacity of up to 1.2 Billion kWh may be needed to deal with a prolonged period of no wind nor rain. There are a few solutions. Hydroelectric reservoirs can store considerable amounts of energy. If we set a policy of keeping reservoirs full and only using hydro during periods of heavy rain or when it was needed to even out the peaks and troughs of renewable output this would add up to quite a considerable level of energy storage, thought probably not enough. It would also mean throwing away alot of energy during periods of high winds (as there would be no way to store it) and it would mean not only turning off many dams (our largest source of renewable energy) but also using their capacity less efficiently. It’s also worth noting that the primary purpose of dams worldwide is to control water supplies (i.e provide drinking water, prevent flooding, etc.) and the electricity production is largely just a bonus, so this policy just isn’t an option everywhere. One solution to the above dilemma is to use pumped storage, where you use an excess of say wind or wave energy to pump water up the hill essentially storing the energy with a typical efficiency of 70%. Some existing dams could be converted to act as pump storage facilities. And while it is often said that conventional hydro is all used up worldwide, this doesn’t extend to micro-hydro or indeed pumped storage. 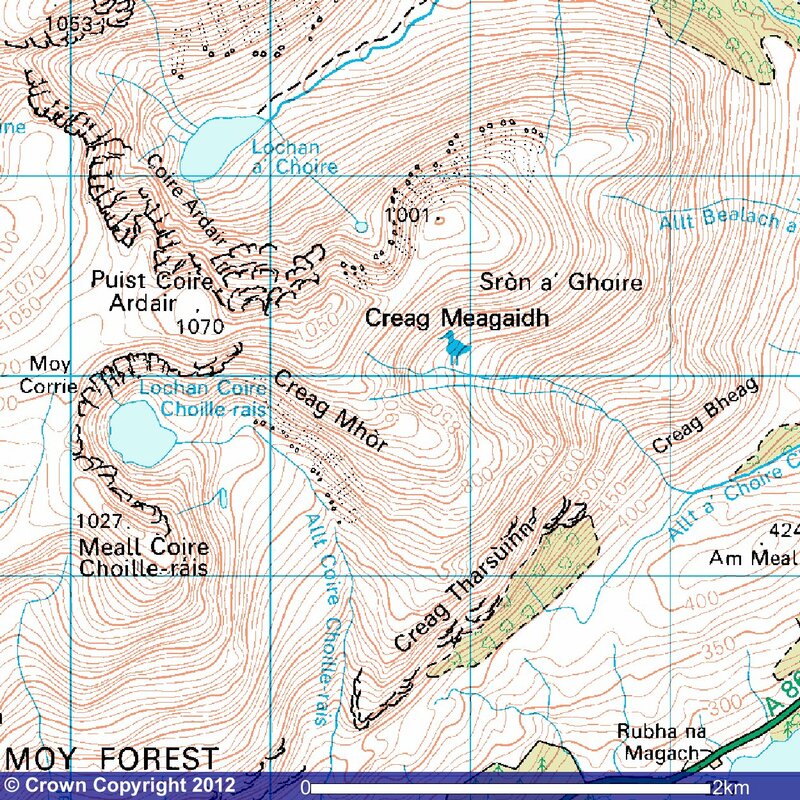 A quick scan of any map will reveal several potential locations, either by converting existing hydro-electric facilities or using newly built facilities. Indeed a new 600MW proposal for such a facility in the highlands was recently announced and there are plans to convert a number of existing hydro systems to pumped storage. Admittedly thought we probably can’t close that 1.2 Billon kWh gap solely with pumped storage and hydroelectric. A study conducted by Strathclyde University (see link here) suggests a 0.514 Billion kWh of storage in the Highlands can be realised with the construction of new systems and the upgrade of existing reservoirs (about half of what’s needed). Also, as hydro-electric (but not pumped storage) is weather dependent (i.e. prolonged droughts mean falling water levels, although that’s a pretty rare occurrence in the Highlands, what with 4 metres plus of rainfall per year!) we probably wouldn’t want to rely on pumped storage alone. And not every country in the world is blessed with the multitude of dams and reservoirs like Scotland, so this isn’t a solution for everybody. So, yes, while pumped storage can help substantially, its clear that we will need others sources to help even out all the peaks and troughs of new energy sources. Fortunately not all sources of Renewables are as variable as winds or PV. Solar CSP (Concentrating Solar Power) plants generally have the facilities to store energy onsite to cope with brief discrepancies between demand and supply by shunting some of the heated working fluid into storage tanks (+70% capacity factor being typical). Geothermal has a capacity factor close to that of standard power stations. Wave energy promises to be much less intermittent than wind, although that largely depends on what types of devices and where they are sited. Tidal energy has the advantage of being regular and predictable – the tides do go in and out every day whatever the weather. However, this may not match demand (i.e. peak output is at say 11am, while demand peaks at 4-5pm!). 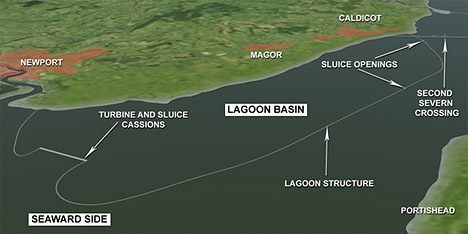 One option is to use either a Barrage (such as the one proposed for the Severn) or a series of tidal lagoons, to store energy. It should be noted that many environmental groups now argue that Barrage technology is obsolete and a mix of the aforementioned tidal lagoons and tidal stream turbines would be a better solution to the Severn, as well as better for the environment. Also new types of wind energy, so-called Airborne wind turbines, particularly those mounted within the jet streams, would have a capacity factor closer to 80%, as opposed to the 30% of current wind turbines. One solution that is often touted to the intermittency issue is that of using HVDC lines offer the possibility of transferring considerable quantities of power across very large distances. HVDC also has the advantage of allowing power transmission and stabilization between unsynchronised loads and sources as well as helping to stabilise a grid without the risk of short circuit. This makes them particularly suitable for the transmission of intermittent renewable loads across long distances. Hence a solar plant in the deserts of New Mexico or the Sahara could theoretically provide electricity to customers many thousands of miles away….or at least that’s the theory! 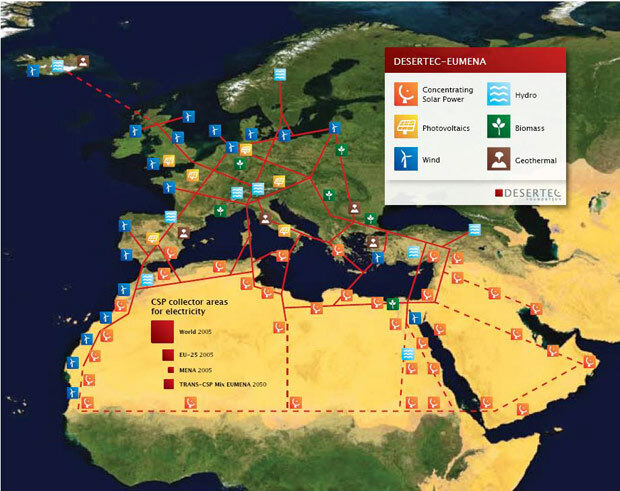 One of the biggest of these proposed HVDC “super” projects is DESERTEC, which aims to use the vast empty and sunny spots of the Sahara to build huge solar power plants which will then shunt power to customers in Europe. Interconnectivity via HVDC (or hydrogen pipelines, more on that later) will allow power to also be transferred from Western European offshore renewable centres (wind, wave and tidal farms) as well as geothermal plants in Iceland with the sum of this energy shared out across the continent….at least is the theory! Unfortunately there are a few complications that need to be addressed first. This article from ATLIS (Atlantic Institute Studies) outlines a few of the major criticism of the DESERTEC proposal. Notably, they question the technical feasibility of the project, the financing, power loss during transmission as well as politics. Notably as far as the last point many North African states are rapidly industrialising and with falling oil production they would probably be more inclined to use any solar generated power for their own needs than selling it to Europe. As many of these regimes are less than democratic one has to question how the DESERTEC organisation would be able to enforce previously signed agreements, as such regimes have a nasty habit of reneging on such deals. Of course this verdict doesn’t apply to every North African state and there are plenty of places in South Europe to base these solar plants as an alternative (obviously not ideal due to higher land prices and less sunshine, but certainly an option) as well as lots of spots where other renewables could be based. 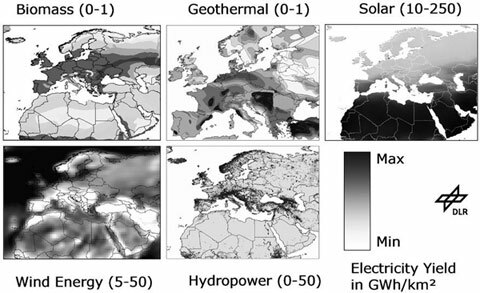 On which point, here you’ll find an interesting page that discusses the land area v’s power generation for different locations in Europe (see graph below). But the costs and logistics of building a vast network of HVDC power lines needs to be addressed, as they are vast. This article from GreenTech suggests a price tag of about €350 Billion for a system capable of transferring 15% of Europe’s electricity demand across to the edge of Europe (we’d probably still need further lines to distribute the power within Europe although the undersea connection would inevitably be the most expensive section). There is also the issue of losses due to transmission, every 1,000 km’s of cable looses 3% of power transmitted. This is significant, but tolerable loss compared to what existing grids suffer from. It would mean that a 3,000 km link from Morocco to the UK would only loose about 9% of transmitted power over the line (as DESERTEC supporters point out here). Even so, it is a factor to be considered. Another issue is the technology itself. There are two ways of making electricity from the Sun, CSP (Concentrated Solar Power) and Solar PV (Photo-Voltaic). 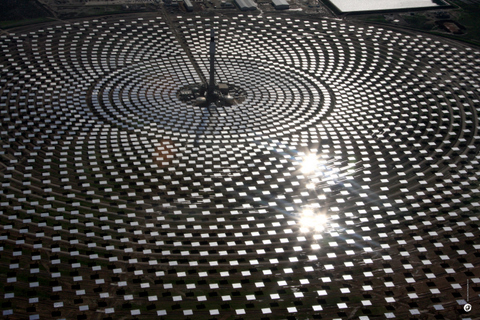 CSP uses the sun’s heat to drive a steam plant. In essence its like a conventional thermal plant, except the boiler is replaced by an array of mirrors and collectors. CSP has the advantage that it does not need rare-earth metals or other hard to acquire materials, is based on existing thermal technology, and that we can store the heat energy overnight, allowing for around the clock power output (as discussed earlier). However, CSP plants have the disadvantage of needing cooling water to operate, difficult to acquire in a desert, although dry air cooling is one possible solution, although it comes with a price tag and worsens thermal efficiency. They also can require quite a lot of maintenance and mirrors need to be very precisely arranged, which often requires extensive ground preparation (mentioned in a report here, as well as the IEA 2006 report referenced earlier). These conditions currently mean solar CSP is somewhat expensive compared to fossil fuels or indeed other more mature renewables such as wind energy. Solar PV by contrast does not have the same maintenance nor cooling water requirements, nor ground preparation needs. While currently PV is more expensive than CSP, many experts believe that in the not too distant future PV could well be cheaper than CSP, something that let to Google recently dropping support for CSP research and led to the cancellation of a number of CSP plants. However, while CSP plants have capacity factors of 70-90%, PV struggles to achieve 35%, with a current average of 25%. Consequently, we would likely see a mix of PV and CSP plants in the desert, with CSP plants focusing on night time energy production (by storing energy generated during the day) and PV focusing an day time power needs. Unfortunately such an arrangement does complicate DESERTEC’s plans somewhat. DESERTEC supporters assume that the price of solar energy, in particular CSP will continue to fall. However, some authors, notably the 2003 NREL report (Sargent & Lundy, 2003) suggest that while costs should fall significantly (they’ve fallen a bit since then, but not as much as they predicted), there is an ultimate floor price through which solar CSP cannot pass through. I would note that more recent reports are a little more positive on the price issue. But there is still a distinct difference between the prices they quote and what DESERTEC seems to be banking on. The NREL’s 2006 report (Stoddard etal, 2006) quotes a 2015 projected price of $115 – 93 per MWh for Solar CSP against a projected costs window of $120 – 66 /MWh for fossil fuels (of course transmitting the power into Europe isn’t included in this figure, but would add yet a further premium). And as you will note if you follow the last link, these cost estimates are somewhat on the low side, as that same link suggests a DOE estimated 2016 price for CSP of 311/MWh and 210/MWh for PV. While I’m inclined to go with the NREL estimates (the DOE ones seem somewhat arbitrary, dated and likely do not account for future fossil fuel price rises, plus they have a habit of hostility towards renewables! ), we’d be fools to assume the lower NREL figures are reliable and correct. Ultimately the Trillion kWh question is, what is that “price premium” for DESERTEC and are Europeans willing to pay it? Until we have a firm answer it will be difficult to begin the process of building this vast network of plants. And that perhaps is the major stumbling block – time is not on our side. Building a vast array of solar plants in the middle of an uninhabited desert where everything has to be built from scratch, will take many decades and if we have to wait a decade or two to first prove the DESERTEC concept is sound then it could be a matter of too little too late. I ask this question because the answer is, it depends what you’re trying to achieve! If you’ve a spot on the roof that’s empty or a bit of empty land, you just want to generate a bit of electricity with the minimum of hassle, and you’re not too worried about intermittency, then PV is clearly the answer. If you live in southern Europe and you want reliable renewable electricity 24/7, CSP is a better choice. 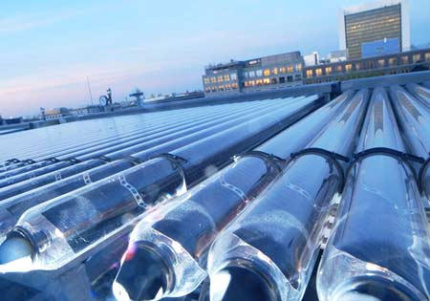 If you just want to provide hot water to your home, then a roof top solar thermal collector is probably a good choice. 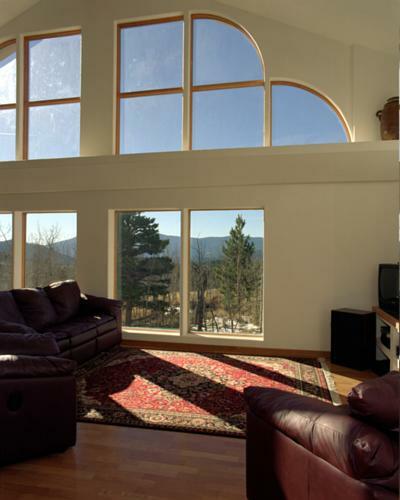 If you want to provide space heating, then maybe passive solar energy (essentially creating a sun trap within the house to trap the sun’s heat and increase the natural solar gain, where needed) is you’re best choice. 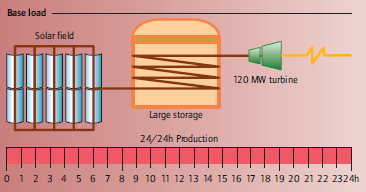 Figure 3.13 – Perhaps the Cheapest way to generate renewable energy – lots of big windows! This is an important point when it comes to renewables – each source has its own particular niche. It’s important that we match such sources to the load we’re trying to supply. Trying to use a renewable resource in a way that ignores its characteristics, will be inefficient and uneconomic. Following on from the previous question and returning to the issue of intermittency, probably the best solution to both is to simply not connect much of our more intermittent renewable sources to the electricity grid to begin with. Instead we devote them solely to the production of hydrogen. This would involve accepting a certain level of inefficiency, about 70% with current technology, plus a further 5% losses to represent leaks of hydrogen during transport. But these losses are a price worth paying when you consider all the problems we solve. Solving that large 1.2 Billion kWh UK wind drought gap (or >0.6 billion kWh or less with pumped storage or some DESERTEC power contribution) is now easily achieved (and of course it won’t exist anyway if we diversify our sources). 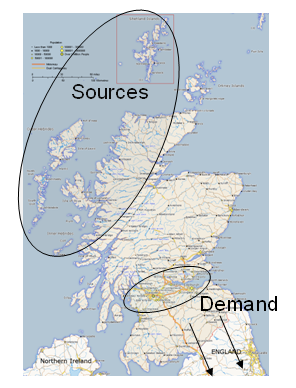 We can store vast reservoirs of hydrogen in disused gas fields and simply shunt it to our existing network of gas fired power stations when we need it. There is quite a bit of dispute as too how leaky Hydrogen pipelines would be. I’ve seen estimates giving arbitrary figures of 10-20% to absurdly low figures of losses of 0.001% per 100 km’s. 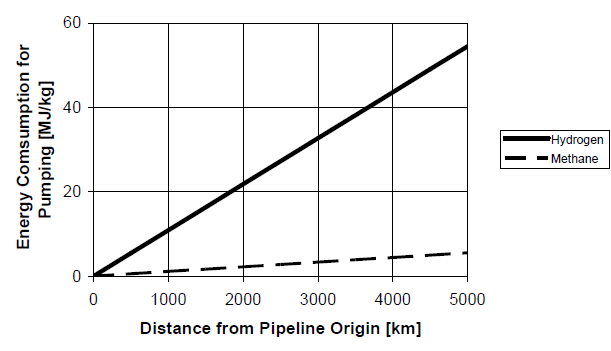 Zittel etal (1996, not available online, try you’re nearest academic library, but cited by Lovins etal here) suggest a loss rate of about 0.1% per 100 km’s, although they base this figure along a purpose built hydrogen pipeline in Germany. That works out at about 1/3 the transmission energy loss rate discussed earlier for HVDC. However, it is worth remembering that we need to consider the energy losses from making and then compressing the hydrogen in the first place (between an 82 – 65% efficiency depending on the technologies used). And if turning it back into electricity later (burning it in a standard thermal plant = 45% efficiency). And again, this 0.1% figure assumes a dedicated or suitably upgraded pipeline. It is worth remembering however that the bulk of global energy needs is also not for electricity (which represents only about 34% of TPC or 12% of TPES) but for either heat (about 30%) or transport fuels (25%). In both cases direct use of hydrogen would lead to much greater energy efficiencies than can be achieved by using it for electricity generation (burning hydrogen at 90% efficiency in a boiler to provide heat v’s 30-40% efficiency at a power station and 80-90% efficiency with an electric heater). On this point, note we don’t need fuel cells to use hydrogen, it can be burnt, with minor adjustments in existing internal combustion engines or gas fired boilers. As I have speculated before, its probable that some of the world’s transport network will be converted over to run on electricity. This would come with the additional bonus of us being able to use the vast network of batteries to even out the peaks and troughs in our renewables grid. But that said, some of our transport network will be run on hydrogen. While we might be able to convert certain parts of the transport network to electricity, key parts of it, most notably any situation where a high density fuel supply is required (aircraft, ships, long distance trucks or high performance vehicles) hydrogen, or possibly bio-fuels is a better substitute. So there will be no shortage of customers for this hydrogen. Of course it will be a lot easier to convert the bulk of our transport network to hydrogen than it would be to convert certain elements of it to electric vehicles, especially if we go through a phase of using natural gas for transport fuel first (which seems likely). 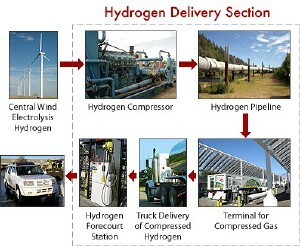 The gas distribution network worldwide would, however need substantial upgrading to run on hydrogen. Most notably, valves seals and other connections would need to be upgraded and changed, as this is often where hydrogen leaks out. Compressors will also be forced to work harder as compared to transferring Natural Gas, so such systems would also have to be upgraded. Also exposure of certain metal alloys to hydrogen over long time periods can lead to Hydrogen Embrittlement. Not a problem with newly built networks (we can choose the right design to ensure immunity to it! 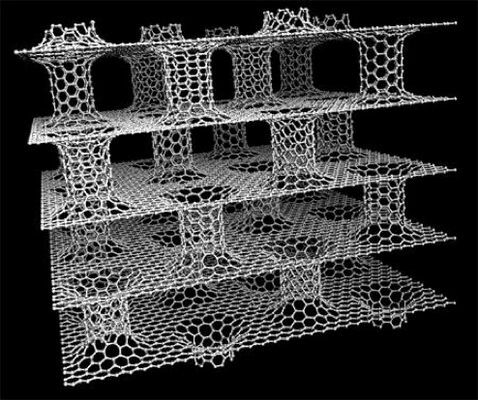 ), but a potential issue for older steel or cast iron based pipeline networks, which might need lining or replacement before being used to transport hydrogen. But such upgrading was done in the past. The bulk of the UK’s gas network for example was originally built to work off “town gas” derived from coal, but in the 1960’s this was switched over to Natural Gas. And while it would certainly be expensive, upgrading the gas network is going to be easier than the alternative, that is changing over everything that currently runs on the gas grid (such as numerous domestic & industrial boilers, CHP plants, industrial processes, etc.) to run on electricity. Notably many of the electricity based alternatives listed earlier have much poorer efficiencies, and thus we would still incur substantial losses swapping all such loads over to run on electricity. But the key point in this Hydogen v’s electric debate is that they both complement each other. We’ll probably need both, not one or the other. Electricity via HVDC may well work out more practical for very long distance transmission, while hydrogen may prove better for medium distance transmission and storage of energy, with conventional AC (or district heating systems for heat energy) being used for short range transmission and conventional batteries for energy storage. 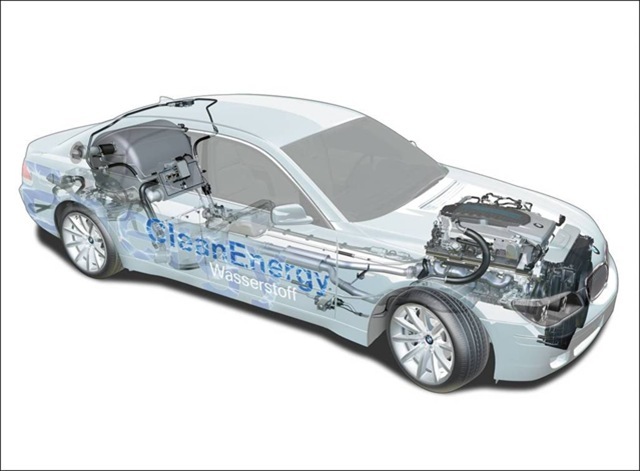 Hydrogen is better suited to the provision of thermal loads, where direct thermal processes (such solar thermal, CHP or geothermal) are not available, or in high performance vehicles where the energy density of a fuel is an important factor (planes, ships, long distance trucks or high performance cars). Electricity is better for more general “static” power systems, or vehicles that run regular routes (commuter cars, trains, buses, delivery vans). Of course the above should be no surprise. We don’t run road vehicles off of coal anymore for obvious reasons. Natural gas powered cars equally have a number of handicaps over petrol powered vehicles. Similarly, unless you’re “Financially Challenged” (more money than sense!) you’d be a fool to run you’re home heating with oil these days, as natural gas is so much cheaper and convenient (well if you’re on the gas network anyway!). It is only to be expected that our future energy systems will have there own particular niches where they achieve maximum efficiency and economic viability. One interesting game changer that is worth bringing up is the idea of using solar energy to crack water directly into hydrogen (articles on that here). While currently very much a “blue sky” idea, if it could be realised reasonably cheaply it could drastically change the answer to this and the previous questions. Weighing all of the above up I would suspect we could raise current renewable output by roughly 6 fold to around 1,300 Billion kWh/yr (while bio-fuels and hydro will play a role in raising this figure I’m assuming it won’t be as big as they currently play). While this is still a good bit less than the peak decline rate of 1,500 Billion kWh/yr, again an average of the first 25 years of depletion is around 1,080 Billion kWh/yr, so in theory renewables could cope…just!…if I’m correct in my 6 fold assessment, if there is little to no significant growth in energy consumption and if peak gas does not strike within that 25 year time window….quite alot of caveats there! ….But! we’ve not really applied any cycle efficiencies or conversion efficiencies to the above calculation. Once we start shunting some of that energy into cars, or hydrogen production or we start using it to run pumped storage systems, or transmitting it across long distances, we will be loosing some energy (10-50%) at various steps, reducing the overall final supply figure somewhat. My guess is that only about 60% of the above figure (780 Billion kWh/yr installed capacity) would be realized in terms of TPC once all these factors are accounted for, so still a substantial gap. So even the most optimistic scenario we can paint, still has a potentially large energy gap between what we want and what we can supply from renewables. And again, we’re only considering mitigation of peak oil, not continued economic growth, expanding global population, climate change mitigation, nor peak gas, etc. But even achieving these fairly modest figures would not be easy. The right legislation to create the necessary stimulus will be necessary and it will likely take several years if not a good decade to raise output to this level. Also there will inevitably be some form of fixed ceiling as to how much renewable we can sustainably operate in the world at any one time, and this could well turn out to be less energy output than we currently get from fossil fuels. We shall suspend discussion on how high this ceiling is till later. Combining battery electric storage options with hydrogen storage, tidal lagoons and hydro pumped storage leads me to conclude that there is no good reason why we can’t go to a 100% renewable world…if we’re prepared to pay the costs! Building such a large network of infrastructure will be time consuming and the cycle efficiency of the various storage options will eat away at our ultimate energy output. Also diversification is critical. A policy of wind, wind and yet more wind isn’t going to work. Marine sources in coastal nations need to be urgently developed (even if now they aren’t as economic as wind at the moment), those regions with good solar capacity need to give that priority. We are arguably in this energy mess because we let the markets alone decide everything, lets not do that again with renewable.